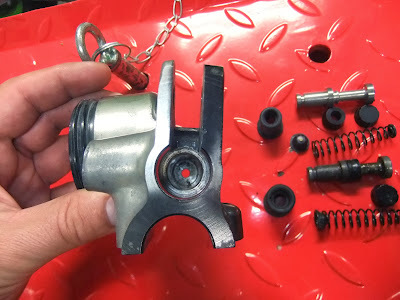 Last post the Honda CB400F brake master cylinder was ready to reassemble, here is Part 2. 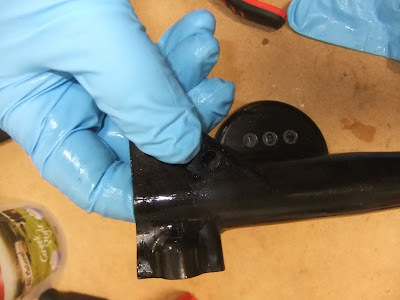 Here is our cleaned master cylinder and brake fluid reservoir. 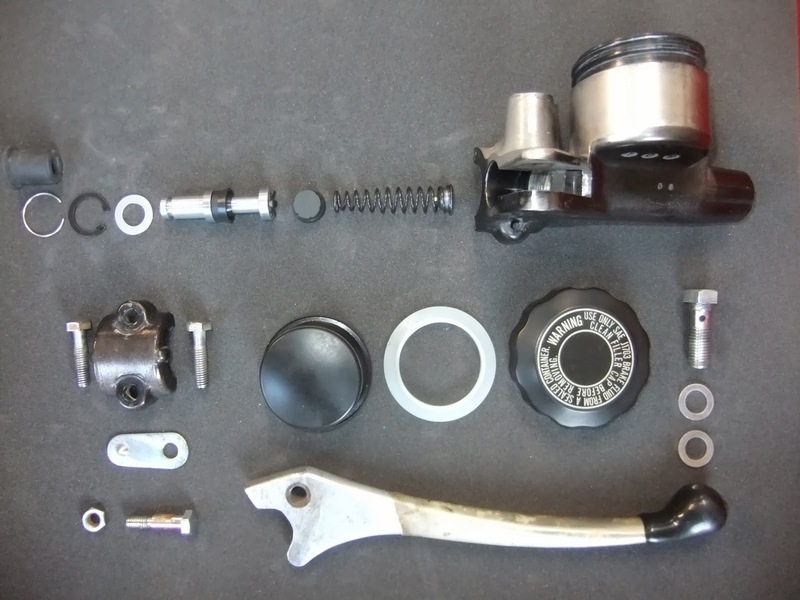 There is no polish on the casting, this has been cleaned to be serviceable only as the remainder of components on the handlebars are in the same state. 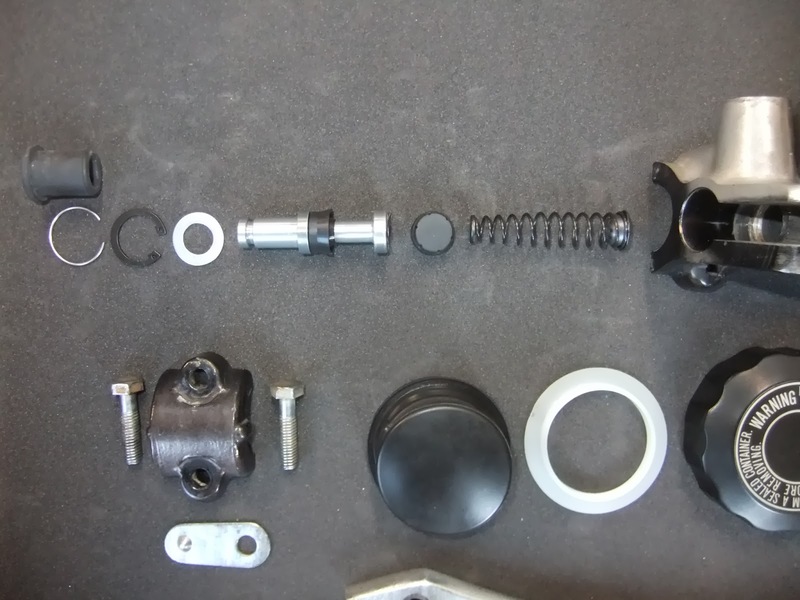 And here is the casting with the new components arranged as they will be fitted. 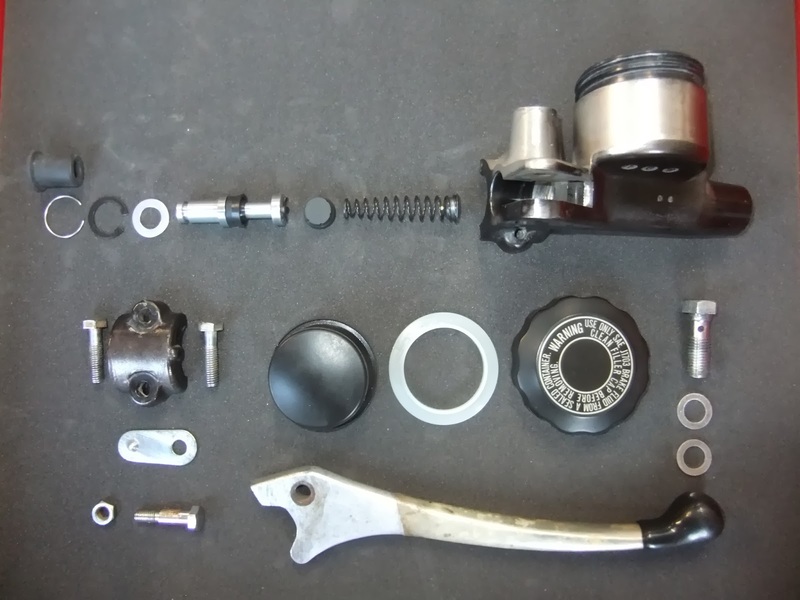 Note also the scrupulously cleaned banjo bolt (right hand side) and new crush washers. The new set of pads to be fitted too, Metal Gear as usual. Here is an example set of stock circlip pliers, these weren't particularly helpful given their short needle length. 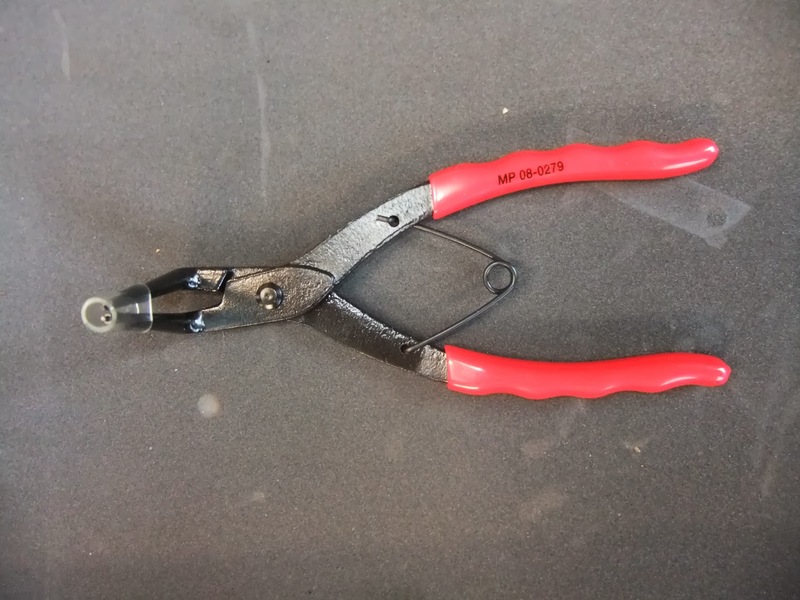 The real deal, these Motion Pro pliers replace factory Honda part #07914-SA50001. 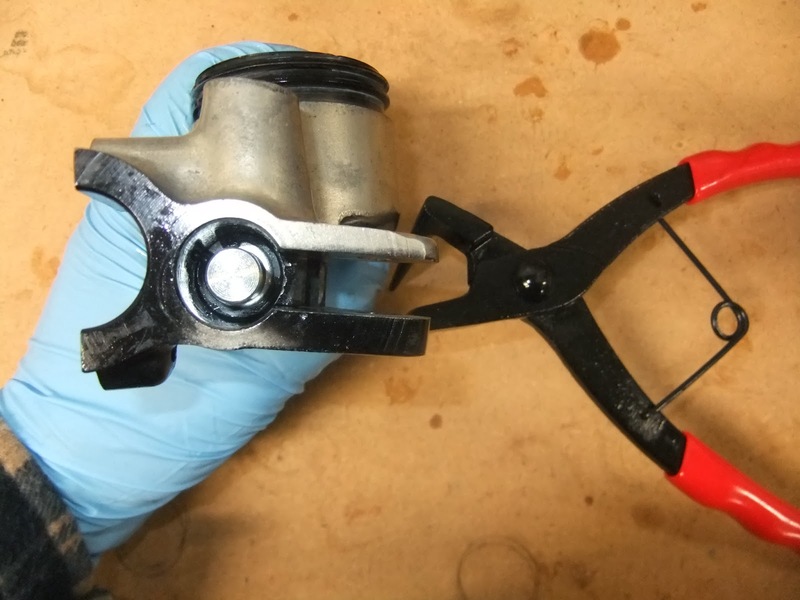 We find their long needles very effective for master cylinder circlips. You will need some fresh fluid. Dot 4 in this case. 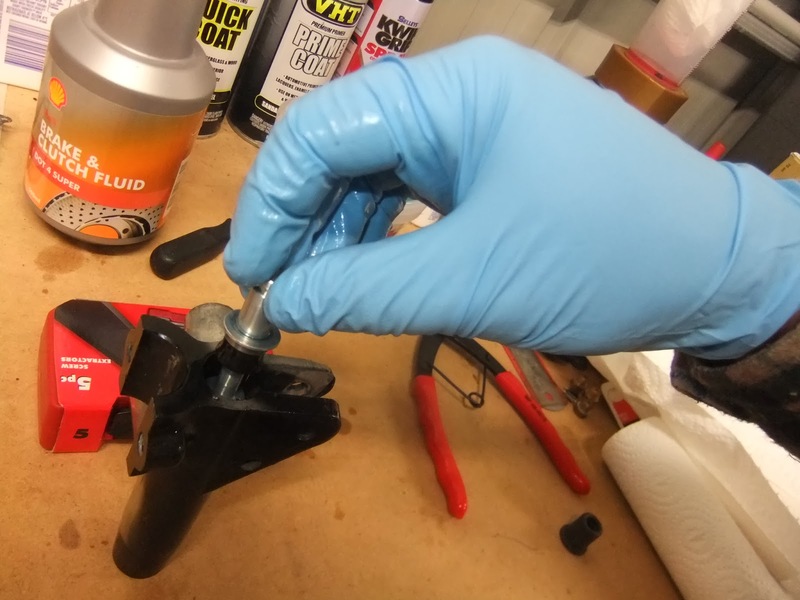 Using a telescopic bore gauge to measure the wear and define if the master cylinder is serviceable. 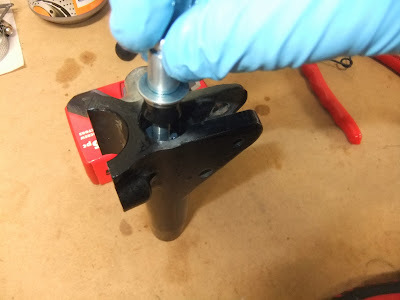 Measuring the piston diameter (with a micrometer) at the plunger end. It is the piston to bore gap which defines the effectiveness, and serviceability, of this type of master cylinder design. 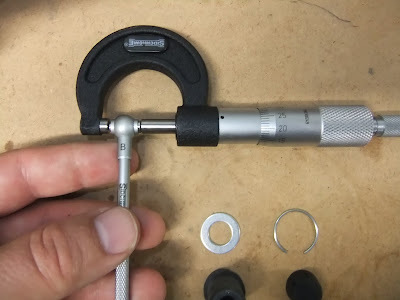 Comparing the bore gauge (internal master cylinder measured diameter) to the micrometer measured piston diameter. 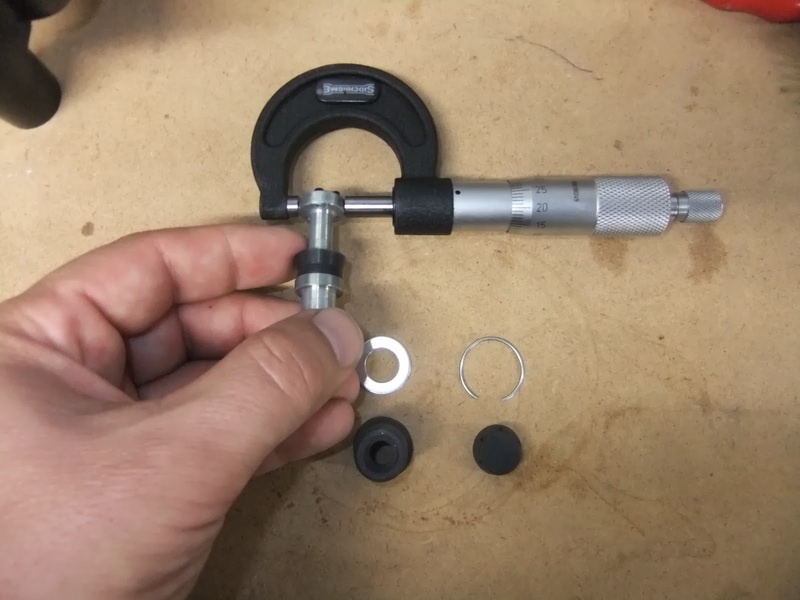 In this case it is a snug fit and within the 1 mm service limit. Installing the spring and seal by hand. We use gloves when brake fluid is involved in reassembly - and for this reassembly process you need to liberally coat all of the new internals with brake fluid before installation. Using the purpose designed circlip pliers to install the new retaining circlip. Job done. 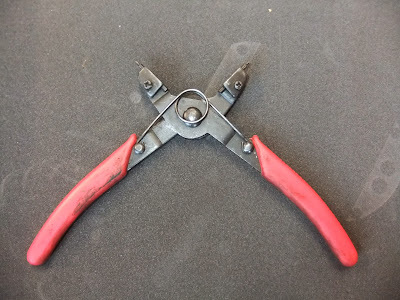 The circlip is clearly visible in the below picture. 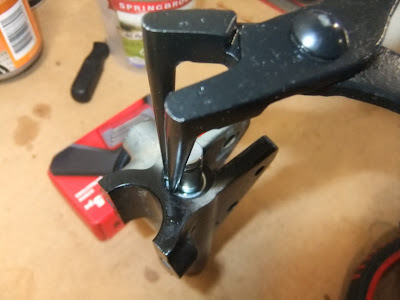 This is where you will invent some new swear words if you skipped cleaning the casting, and especially the ring land, previously...don't skip that step, it won't save you time end to end. 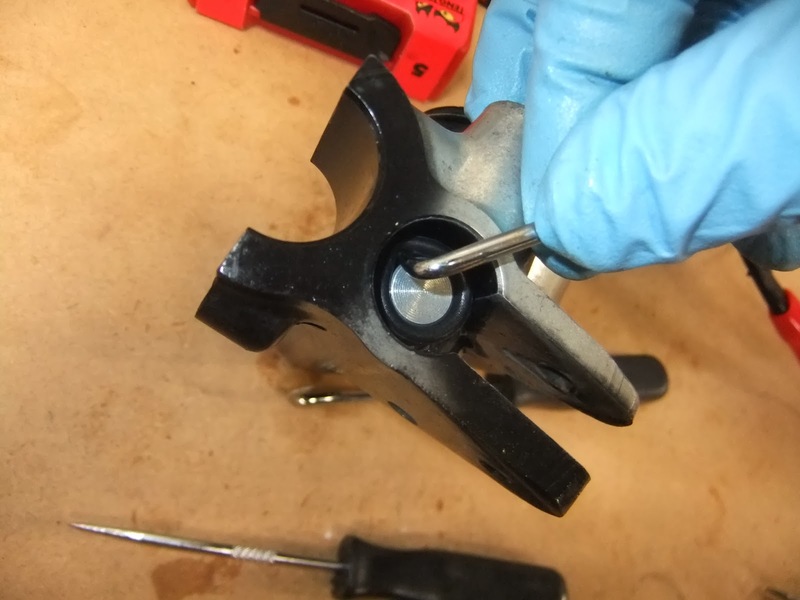 Install the rubber seal by hand and then gently run a dentist pick (or toothpick or screwdriver) around the top of seal to locate on the lip. This will absolutely end in tears if you tear a hole in the thin rubber boot so take care. 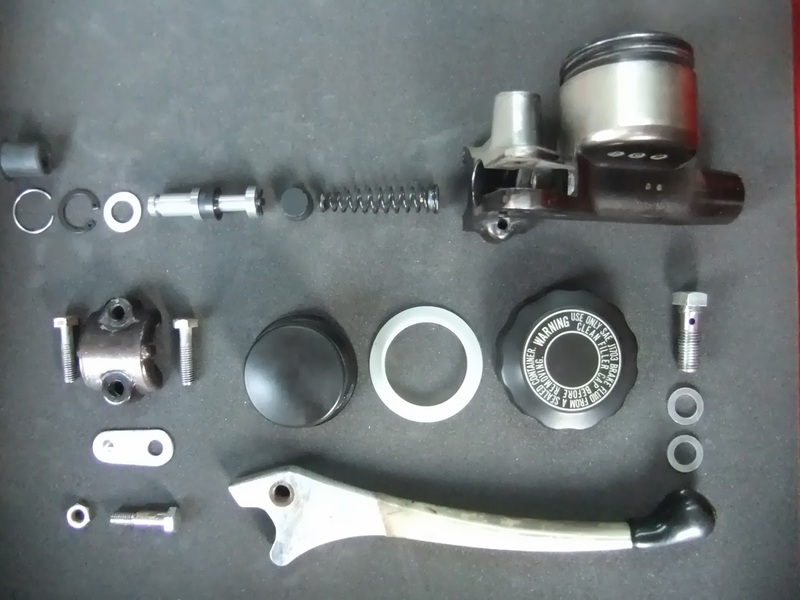 It will look like this when installed (seated) correctly. Note the retaining spring clip installed at the base of the rubber boot. This seats easily if the assembly has been cleaned well. 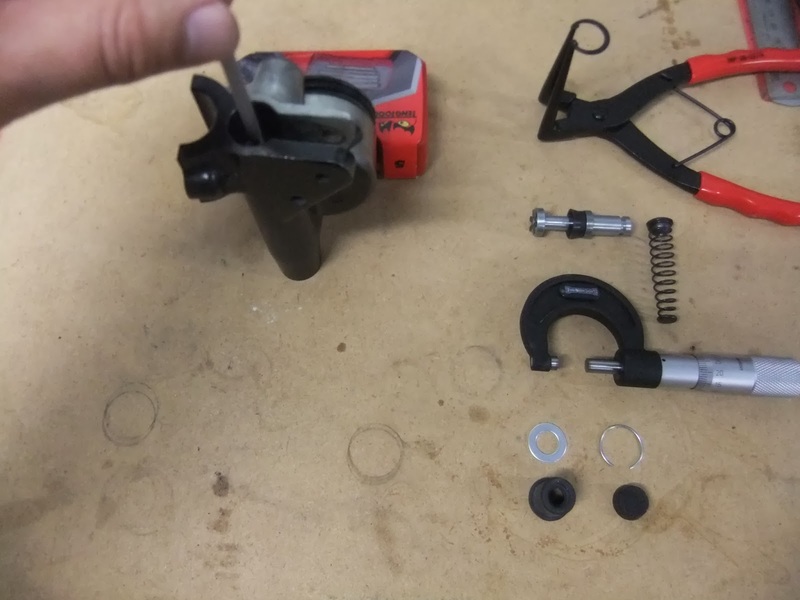 Time to install the full assembly onto your bike. 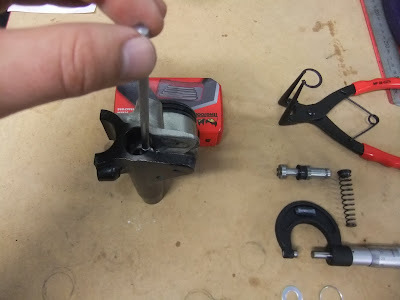 Note: replace the aluminium crush washers when re-installing the banjo bolt (i.e. the bolt which joins the brake fluid hose to the master cylinder). 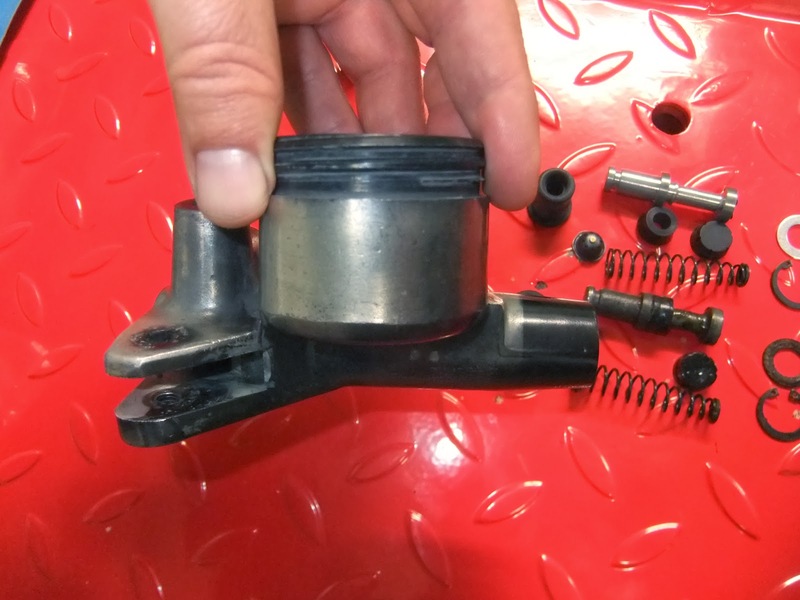 They are designed to deform and create a tight seal. 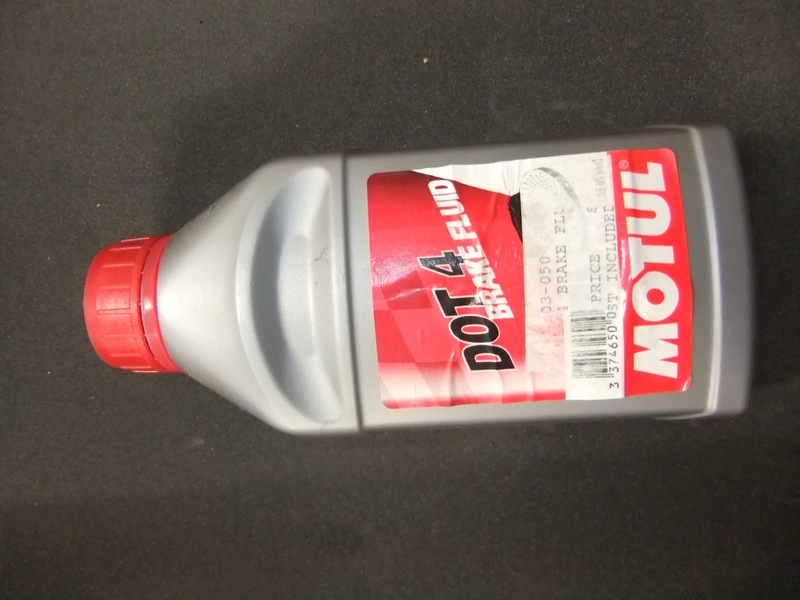 If you don't replace them brake fluid will weep from the joint. 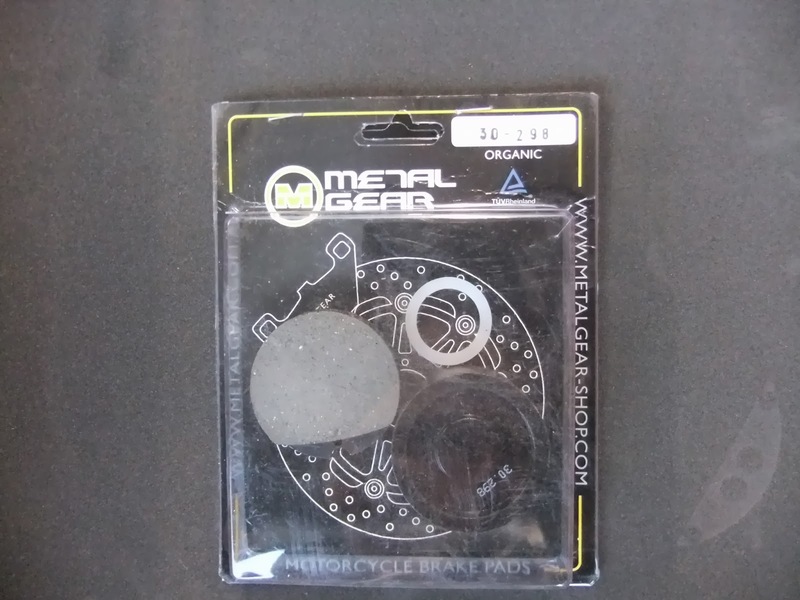 You will need to bleed the front brake circuit. 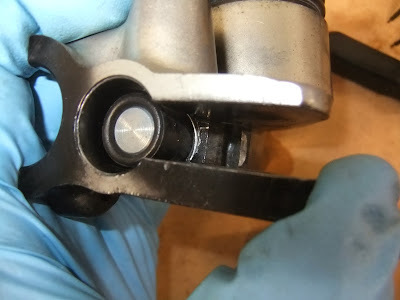 Don't forget to check for leaks after your first few rides.